ARLINGTON, Va. – Capitals captain Alex Ovechkin and goaltender Braden Holtby have been selected to participate in the 2017 NHL All-Star Game, the NHL announced today. The game will be played at Staples Center in Los Angeles on Sunday, January 29. This season marks Ovechkin’s franchise-record eighth selection to the NHL All-Star Game (2006-07, 2007-08, 2008-09, 2010-11, 2011-12, 2014-15, 2015-16, 2016-17) and the second selection for Holtby (2015-16, 2016-17). Holtby joins Olie Kolzig (1997-98, 1999-00) as the only goaltenders in franchise history to be selected to two All-Star Games. Ovechkin has earned 11 points (five goals, six assists) in five career All-Star Games (He did not play in the 2011-12 and 2015-16 game). The Moscow native ranks tied for sixth in the NHL in goals (19) this season, second in shots (156) and tied for second in game-winning goals (6). In addition, he leads the Capitals in goals and ranks second in points (33). Ovechkin sits just one point shy of 1,000 career NHL points (543g, 453a) and is aiming to become the 37th player in NHL history to record 1,000 points with one franchise. In addition, he sits one goal shy of passing Maurice “Rocket” Richard (544) for 29th place on the all-time NHL goals list. Ovechkin is a six-time winner of the Maurice “Rocket” Richard Trophy as the NHL’s leading goal scorer. The 6’3”, 239-pound left wing ranks first in franchise history in goals (455), points (999), power-play goals (202), game-winning goals (94), overtime goals (19), shots (4,384) and multi-goal games (110). Holtby made eight saves on 10 shots in his first career All-Star Game appearance at the 2016 NHL All-Star Game in Nashville. The Lloydminster, Saskatchewan, native ranks tied for first in the NHL in shutouts (5), second in goals-against average (1.90), tied for third in save percentage (.931) and seventh in wins (18) this season. In addition, Holtby leads Metropolitan Division goaltenders in shutouts and goals-against average and ranks tied for first in save percentage and second in wins. In his last 15 games, Holtby has posted four shutouts, a 1.51 goals-against average and a .946 save percentage. Since 2012-13, Holtby leads the NHL in wins (154) and shutouts (25). In addition, Holtby ranks second in franchise history in shutouts (28), trailing Olie Kolzig (35) and his five shutouts this season are his second-most in a season in his career, trailing the 2014-15 season when he tied the franchise record with nine shutouts (Jim Carey, 1995-96). Holtby has allowed two goals or fewer in 22 of his 32 games this season. Washington has posted a 16-2-4 record in those games. In addition, Capitals head athletic trainer Greg Smith was named the Eastern Conference’s athletic trainer for the 2017 NHL All-Star Game in Los Angeles. Smith is in his 17th season with Washington and his 21st season in professional hockey as head athletic trainer. The Bowie, Md., native joined the Capitals in 1999 after spending two seasons with the Anaheim Ducks. 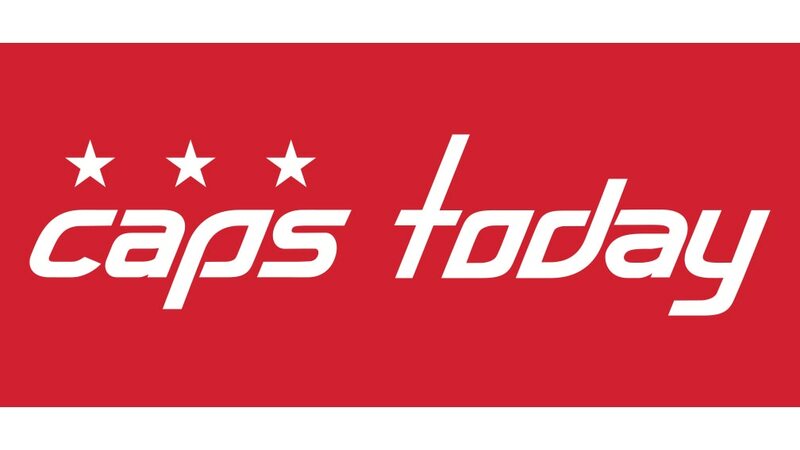 The Washington Capitals are pleased to introduce Tommy Chalk as the Caps manager of media relations and content and announce that Megan Eichenberg has been promoted to manager of communications and publicity.